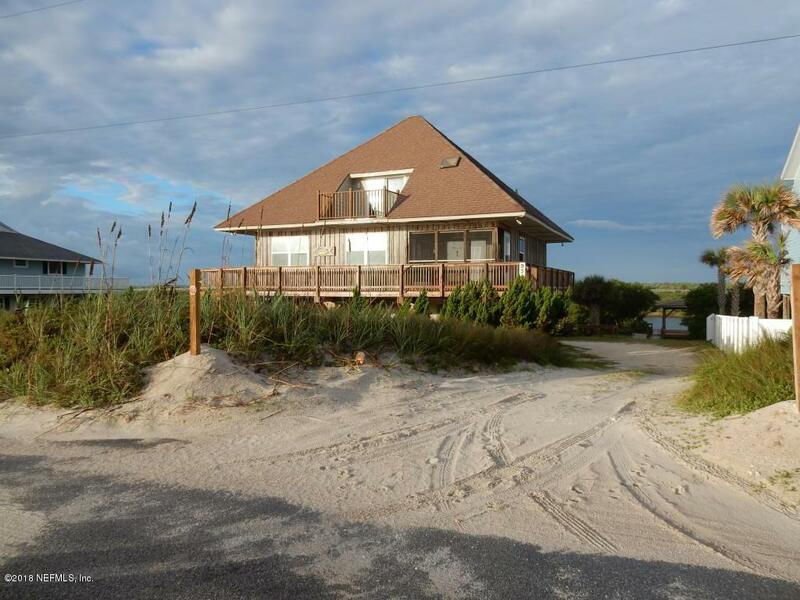 Summer Haven home has both oceanfront views and Summer Haven river views. 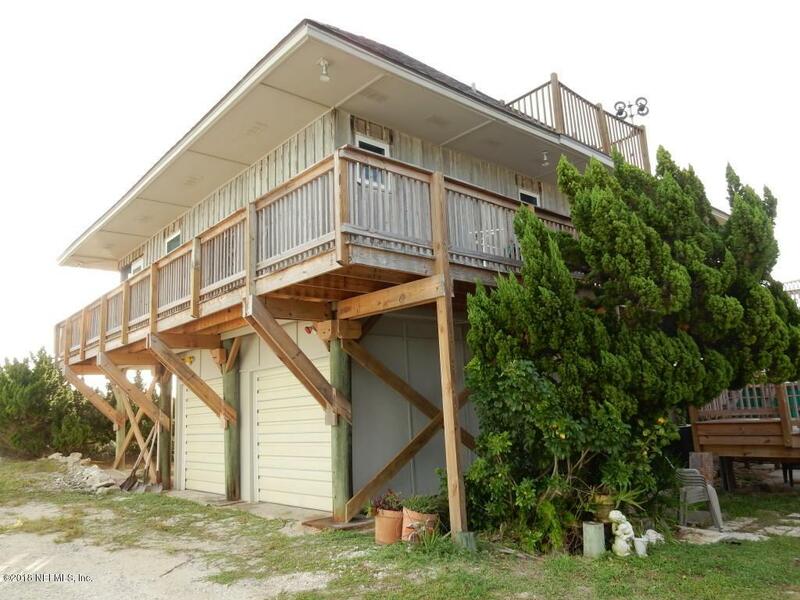 Two bedrooms, 2 baths, great room, wraparound porches and two upper decks. 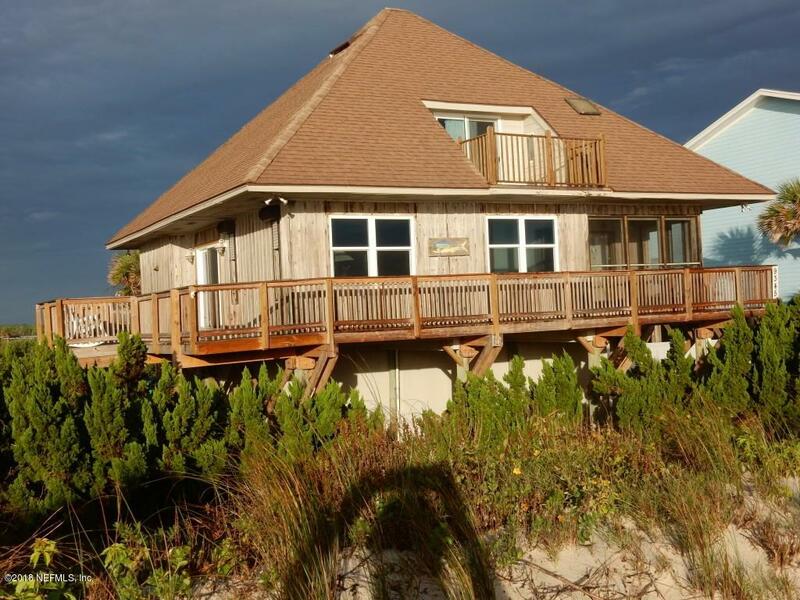 Home built on pilings in 1981 and permitted by Fla Dept of Natural Resources. The home is seaward of the Coastal Construction Control Line. Water source is with a artesian well and reverse osmosis system. There is a dock on the river that originally had a boat house portion. 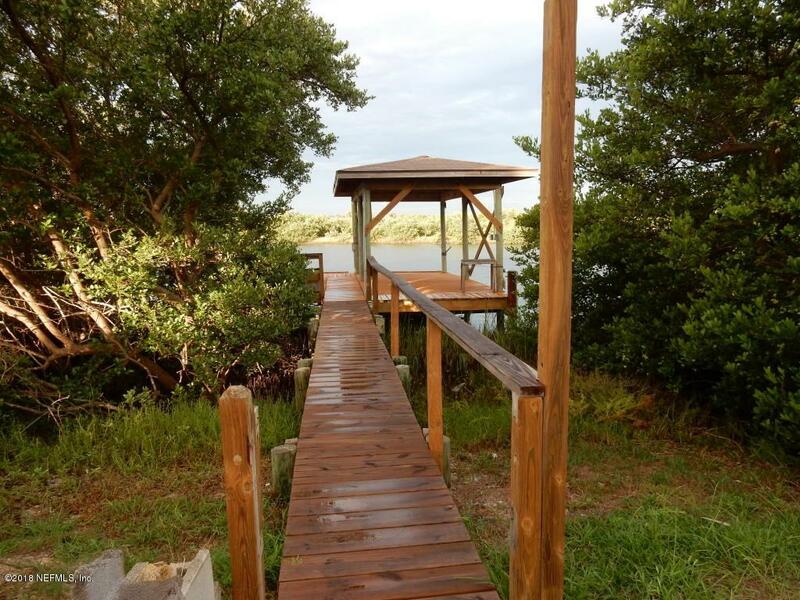 The boat lift was removed and a floor was installed. A favorite location is to sit out of the sun, enjoy the river and catch fish!